As public school systems across the country lose funding due to steady declines in enrollment by parents choosing alternative education options, public school administrators have begun devising clever programs designed to coerce them back into the system. Earlier this month, an article in the Lexington Herald Leader outlined one such program. The Wayne County public school system is attempting to connect with homeschool students through online courses in exchange for enrollment into the school system. Primarily geared toward high school students, these courses are completed online from home, with oversight provided by a public school teacher assigned to the class. The cost to the school system is about $100 per course. The state funding that flows into the district by virtue of student enrollment, however, is $3200 per student per year. Days later, the New Hanover County school system here in North Carolina followed suit with an almost identical proposal. The details of the profit potential in their presentation was a bit more revealing. The New Hanover County school system is projecting Average Daily Membership (ADM) funding allotment of $5,000 via the state and $2,700 through local funds. The projected cost to the district for a student fully enrolled in the program (4 online courses per year) totals $2,800, which leaves roughly $4,900 in ‘excess funding for use by NHCS per student.’ In other words, 63% of the per pupil state and local ADM allotment is money that will not benefit the student the district is targeting. So what does the homeschool student receive in return? According to the presentation, 150+ online courses from which to choose, the ability to remain in a small, at-home environment, and ‘FREE’ online courses. For those who know that public school systems are funded through taxpayer dollars, characterizing these courses as free is almost offensive. To be clear, homeschooled children are able to access online courses through NCVPS without having to enroll in the public school system, although parents must pay for the courses. One possible benefit to an e-learning academy is that it does allow high school students the opportunity to take Advanced Placement courses in preparation for college at a cost savings to the parent. Since there is such a disparity between the actual cost of the courses and the funding allotment the district receives through enrollment, states would be wise to meet school systems somewhere in the middle. By funding only the online courses instead of the full ADM allotment, homeschool families receive the financial break they need and the state saves their taxpayers money. After all, these children never set foot in a public school building, other than to take a final exam. As suspected, homeschool parents are proving to be skeptical. In a recent article by the Wilmington Star News, the spokeswoman for a local homeschool support group offered her critique of the program. According to her, it’s doubtful that any of the families in the group will participate, as most don’t like the curriculum or the loss of freedom that comes with public school enrollment, which are two of the primary reasons parents choose homeschooling in the first place. It seems administrators may have not only overestimated the level of interest but the trust level of homeschool parents in their districts. Families have grown increasingly pessimistic of the public school system’s ability to provide their children with a quality education, especially after parents’ objections to the federally-driven implementation of academic standards known as Common Core were met with disdain by public education leaders. Clearly, the skepticism is justified. Rather than tackle the problems that have caused families to flee the system and focus their energies on attracting them back through substantive improvements, public school administrators appear to be more interested in looking for creative – albeit deceptive – ways to pad their budgets. Expect more of these programs to materialize over the coming months as public school administrators around the state awaken to their financial potential. 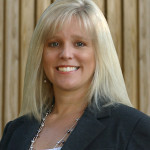 Tammy Covil is a member of the New Hanover County Board of Education. She also co-chaired the North Carolina Academic Standards Review Commission in 2015. The commission was tasked with reviewing and recommending changes to the math and English language arts standards (a.k.a. Common Core) for North Carolina’s 1.5 million public school students. She and her husband, Tommy, make their home in Wilmington, North Carolina, and are the proud parents of four children. This entry was posted in EDUCATION, Guest Posts, Homeschool and tagged E-Learning, Homeschool, Tammy Covil. Bookmark the permalink. Homeschoolers in NC have been considered a ‘cash cow’ for years by the traditional school systems. In 2013, the NC Homeschooling Law was updated under the guise more academic choices were needed. I was opposed to the change because NC homeschoolers already had more academic choices. You cannot improve on 100% freedom. During the hearings surrounding the law’s changes, one NC legislator stated we needed to purposefully blur the lines between public schooling and homeschooling. As an avid homeschooling fan, an anti CCSS researcher, writer, speaker, and activist, I know how the CCSS Machine is targeting homeschool students, both here in NC, and across the nation. The Virtual Public School of NC not only aligns to CCSS, but forces homeschool students to receive their UIN (Unique Identifier Number) so they can be data tracked from education to career. ESSA (Every Student Succeeds Act) will further ensnare homeschoolers in NC and the rest of the nation.